NGS group photo taken during its Industry Engagement Workshop. The Department of Commerce awarded its Bronze Medal to members of NOAA’s National Geodetic Survey’s (NGS) Remote Sensing Division and the Office of Marine and Aviation Operations for collecting and publishing imagery following Hurricane Matthew. This imagery supports NOAA’s national security and emergency-response mission requirements and can be used for a variety of vital activities, including planning and executing search and rescue efforts, assessing storm damage, identifying navigation hazards, locating vessels, and developing standards for airborne digital imagery. Hurricane Matthew was the first Category 5 Atlantic hurricane since Hurricane Felix in 2007. Matthew caused catastrophic damage and a humanitarian crisis in Haiti, as well as widespread devastation in the southeastern United States. For the response effort, 11,186 image frames covering 2,162 square miles were collected and quickly made available to the public. The Bronze Medal is the highest honor award granted by the Under Secretary of Commerce for Oceans and Atmosphere, and recognizes federal employees for superior performance and personal and professional excellence. The National Geodetic Survey (NGS) hosted a workshop with commercial equipment and software representatives to learn their needs and concerns pertaining to the modernization of the National Spatial Reference System (NSRS). Modernization is scheduled for the year 2022. The industry workshop facilitated collaboration between NGS technical experts and their industry counterparts. Cooperation between NGS and commercial firms is critical because many end-users access and use the NSRS via commercially available software packages. 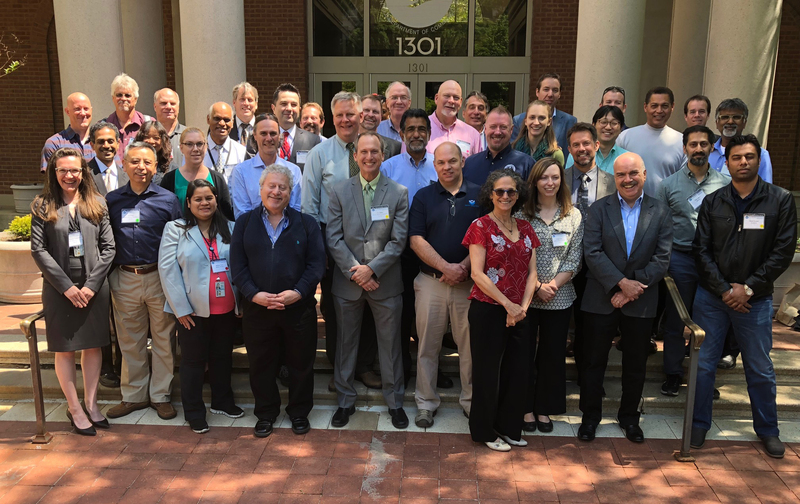 In discussions during several geospatial summits, NGS stakeholders emphasized that collaboration between NGS and commercial firms is essential to prepare for — and to successfully implement — the NSRS modernization effort. NGS also conducted a follow-up webinar to share information about the topics discussed and the preliminary outcomes from the inaugural industry workshop. The National Geodetic Survey (NGS) published a study estimating the economic benefits of its Regional Geodetic Advisor Program to be between $18.6 and $38.7 million. The advisor program benefits professionals in a wide range of everyday activities that depend on precise positioning, including land surveying, construction, engineering design, hydrographic surveying, mapping, environmental services, resource management, geo-scientific applications, education, and the general public. This data informs programmatic decision making, and improves NGS’s understanding of how its customers use NGS products and services. NGS Regional Geodetic Advisors are federal employees who serve as liaisons for NGS and its public, academic, and private-sector constituents within their assigned regions. In 2016, NGS transitioned from a state-centered geodetic advisor program, which covered only 24 participating states, to a new regional advisor program that covers the United States across 14 regions. The Gravity for the Redefinition of the American Vertical Datum (GRAV-D) program is producing a gravity-based vertical datum that, where possible, will be accurate at the ~2 centimeter level. GRAV-D has been collecting data in Alaska since the year 2009, and recent efforts by National Geodetic Survey (NGS) staff have pushed NGS past its milestone of completing all of mainland Alaska by summer, 2018. NGS estimates that all of Alaska’s airborne gravity data will be collected by the end of the year 2020. This new information will be included in revised gravity models for the region and will culminate in a new national vertical reference system. Estimates show that this new system, once implemented, will result in an estimated $522 million in nationwide annual economic benefits, allowing users to determine more precise elevations using GPS. Of note, NGS estimates that approximately $240 million will be saved from improved floodplain management. The National Geodetic Survey (NGS) released the NGS Coordinate Conversion and Transformation Tool (NCAT), combining several separate transformation tools into a single browser-based user interface that also supports single-point and multi-point conversions, web services, and downloadable software. NCAT allows users to easily convert geodetic coordinates among different coordinate systems, enables users to transform coordinates between different datums in a single step, and provides local error estimates for each transformation. This one-stop coordinate conversion and transformation tool improves access to the National Spatial Reference System for a multitude of geospatial applications, enhances the efficient use of various positioning products, and makes it convenient to convert and/or transform coordinates for a variety of geospatial applications. NCAT version 1.1 added a video tutorial; improved precision for converting State Plane Coordinate System (SPCS) values in survey feet and international feet; the ability to convert SPCS or Universal Transverse Mercator coordinates between zones, either with or without a datum transformation; and a change log indicating changes between successive versions of the tool.